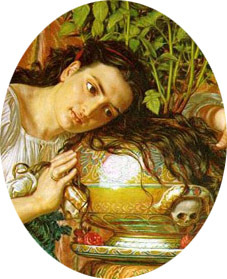 William Holman Hunt’s Isabella and the Pot of Basil is currently in the news with the recent announcement that the Delaware Art museum will be auctioning the painting tomorrow. The work has been in their collection since 1947 and it is sad news indeed that the Delaware has to sell it and three other works in order to pay a $19.8 million construction debt. 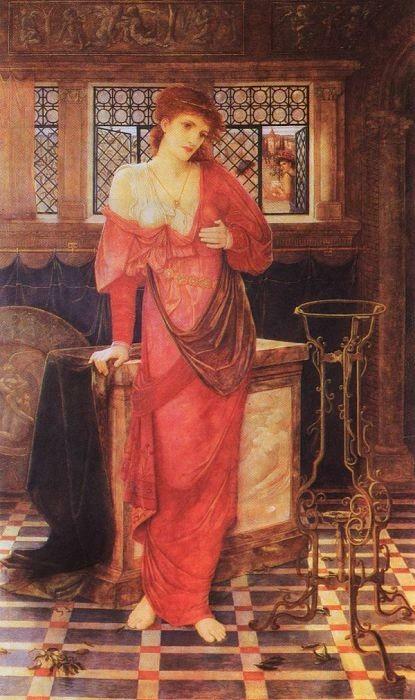 I was shocked when I first read the news that they would part with Isabella, which is one of the treasures in their Pre-Raphaelite collection. Kirsty Stonell Walker has just written a particularly brilliant post about the auction that I encourage you to read. 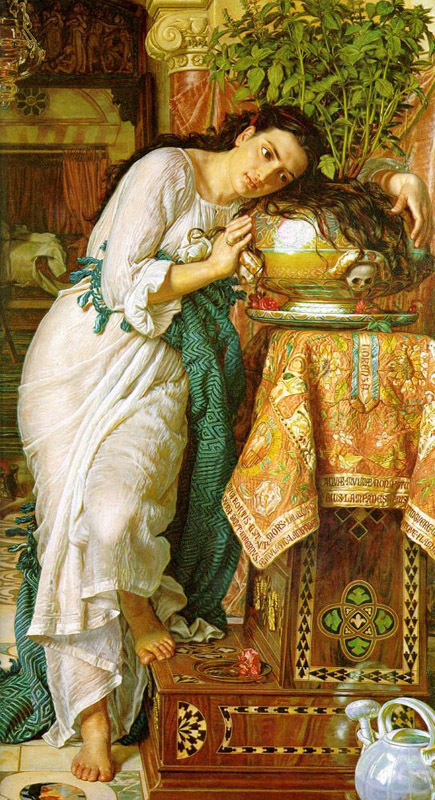 Hunt’s painting is not the only Pre-Raphaelite work featuring Keats’ Isabella. John Everett Millais painted his version, Lorenzo and Isabella, in the early days of the Pre-Raphaelite Brotherhood. So early, in fact, that the initials PRB were not yet known to the public. 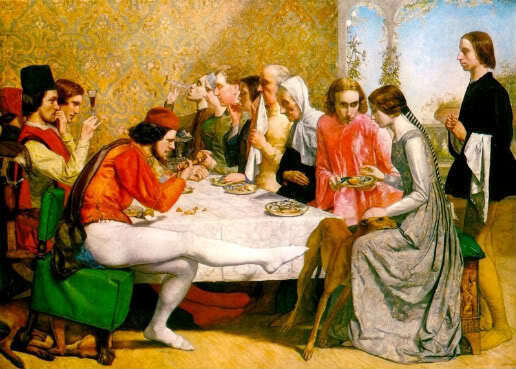 Millais chose not to focus solely on Isabella and the basil, but created a group scene in which she is seen dining with her family prior to the murderous act. 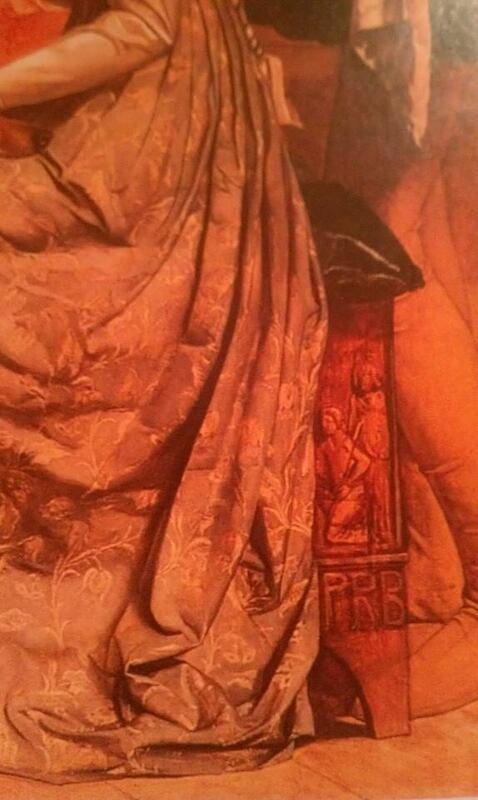 If you look closely at Isabella’s chair, you’ll see that Millais included the initials PRB. 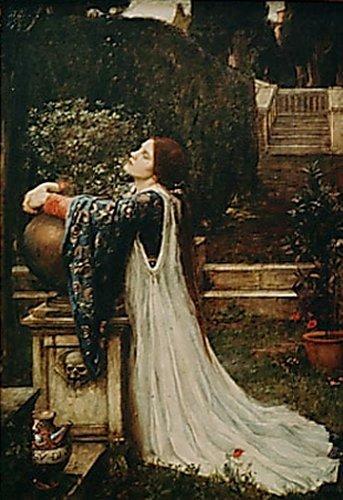 At that time, the Pre-Raphaelite Brotherhood was a secret group. It has been suggested that the meaning of the PRB was later leaked by Dante Gabriel Rossetti. 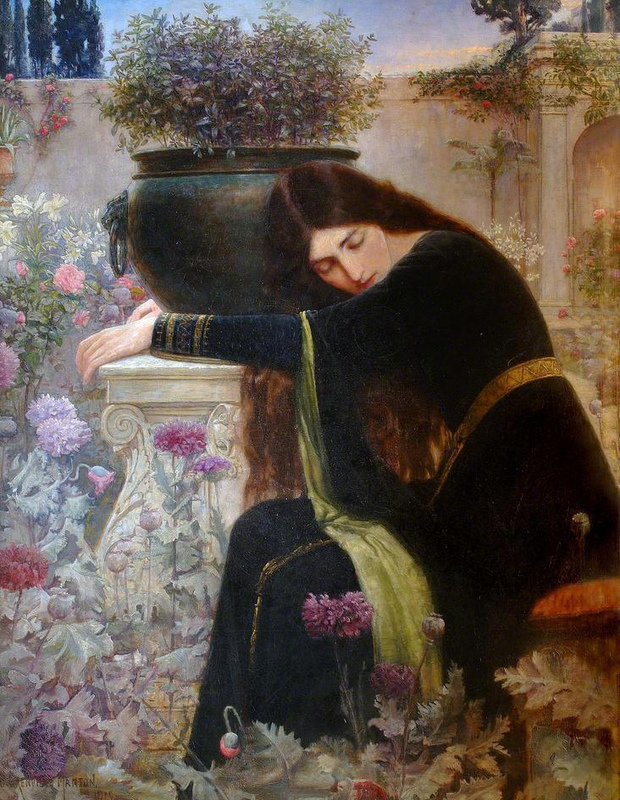 Isabella has also been painted by artists who weren’t members of the Brotherhood, but were inspired by them and can be considered Pre-Raphaelite in style. One thing that draws me to Pre-Raphaelite art is this juxtaposition of something ugly with something beautiful. Grief, death, sorrow are shown through gorgeous imagery and vibrant colors. The notion that Isabella has severed her deceased lover’s head in order to keep him close is something that we should find disturbing. Yet when looking at artistic depictions of Isabella, we are not repulsed. It is the haunting beauty and sadness we see and not the gruesome nature of her act. I love that poem, as you said, the juxtaposition of the grisly notion of burying your lovers head in a jar that you keep with you, with the solemn beauty of her faithfulness to him and her sorrow. It’s a fascinating poem. I love all the paintings!